(Bloomberg) -- President Donald Trump appears to have weathered the Mueller probe. Now he has to contend with the Strauss investigation. Audrey Strauss, named the No. 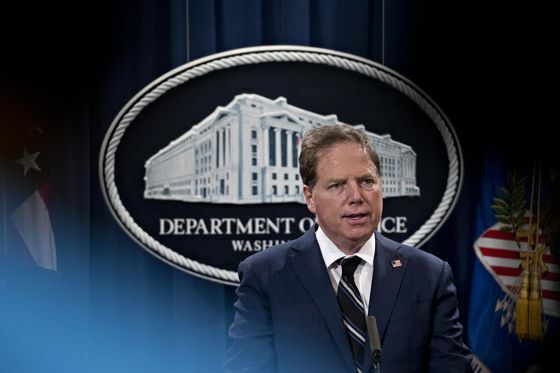 2 federal prosecutor in Manhattan at the end of last week, inherits some of the most perilous remaining investigations into Trump now that Special Counsel Robert Mueller’s investigation has wrapped up. While Mueller’s 22-month probe delved into the Trump team’s possible collusion with Russians who interfered in U.S. elections, he spun off other investigations, including a look at Trump campaign finances that’s now being overseen by Strauss. Trump on Sunday celebrated news that Mueller hadn’t found that his campaign conspired with Russians and that the Justice Department wouldn’t accuse him of obstruction of justice. Mueller is done bringing indictments in the matter, Attorney General William Barr added in a letter summarizing the findings. And so the focus of federal Trump investigations shifts north. The prosecution team, known formally as the U.S. attorney’s office for the Southern District of New York and informally as SDNY, has already secured a guilty plea from Michael Cohen, Trump’s former personal lawyer, as part of a matter that was referred by Mueller’s office. SDNY is now pursuing several other probes of the president’s business and his inaugural committee. In his congressional testimony last month, Cohen said he was cooperating with the Manhattan prosecutors on matters he couldn’t discuss. It’s an office that is used to high-profile cases, having won global attention a decade ago for its crackdown on insider trading. Earlier eras were defined by major prosecutions of corporate accounting cheats, terror conspirators, mafia bosses and corrupt politicos. With Mueller closing shop, the New York office may be entering its trickiest phase, as the lead authority scrutinizing the conduct of the leader of the free world and his close associates. It’s a fitting assignment for a prosecutor’s office that polices the world’s financial capital, giving it virtually unlimited reach and arming it with leading experts on sophisticated crimes in the global underworld. 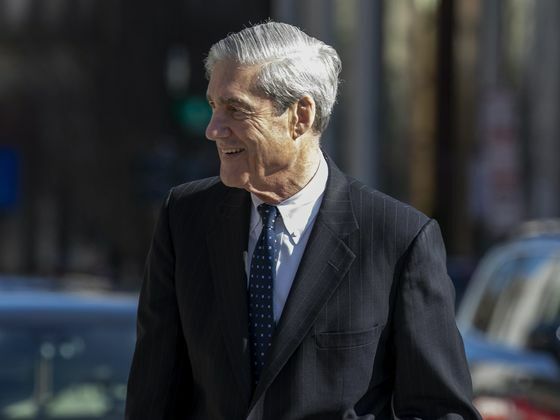 Strauss was named second-in-charge of the Southern District of New York on March 22, just hours before Mueller delivered his Russia report to his Justice Department minders. Strauss, 71, worked her way up to a senior position in the office starting in 1976 and left in 1983 to do work related to the Independent Counsel’s Iran Contra probe. She rejoined the office last year as general counsel. In her new post, she will succeed Robert Khuzami, the veteran prosecutor who handled the Cohen case and has a long history of aggressively pursuing complex financial crimes. Khuzami took over the Cohen case when U.S. Attorney Geoffrey Berman, who runs the Manhattan office, recused himself. It isn’t clear why Berman, himself an SDNY veteran, stepped aside. He was appointed by Trump and previously practiced law at Greenberg Traurig with Rudy Giuliani, now a Trump stalwart and the president’s personal lawyer. Nor is it clear whether Berman would recuse himself from all Trump-related cases. SDNY, sometimes called the “sovereign district” for its independent streak, reports to the Justice Department in Washington, but Berman and Khuzami are empowered to take investigative steps and charge people without its approval, according to a person familiar with the matter. The Southern District’s investigation of Trump and his businesses -- which are separate from the numerous investigations by Democrats in Congress and another by the New York state attorney general into the president’s foundation -- appears to have been spurred by the prosecution of Cohen. After the Federal Bureau of Investigation raided Cohen’s home and office last April, he pleaded guilty to campaign finance violations, saying Trump directed him to pay off the pornographic film actress Stormy Daniels and another woman who claimed to have had affairs with Trump. The object was to bury the claims so they wouldn’t cost Trump the election, Cohen said. Beyond the campaign, the investigation could strike at the heart of Trump’s business, as SDNY examines others at the Trump Organization -- and perhaps Trump himself -- to see if they, too, took part in the payment program. American Media Inc., which owns the National Enquirer and is run by longtime Trump ally David Pecker, struck a non-prosecution deal with the office last year, agreeing to cooperate. AMI admitted it bought and then suppressed one of the women’s accounts “to prevent it from influencing the election,” according to prosecutors. Cohen also told Congress that Trump regularly inflated or deflated the value of his assets to build up his public image or to get the best deals on insurance and taxes. He named three executives at the Trump Organization who he said were aware of the scheme, including Chief Financial Officer Allen Weisselberg. In addition, New York prosecutors are looking into Trump’s inaugural committee, which reported raising a record $107 million, for alleged money laundering, false statements and fraud, and are pursuing indications that vendors may have been asked to accept off-the-books payments directly from financial donors, two people familiar with the matter have said. They’re also looking at whether foreign money was funneled into the committee, which could be a crime.